Chinese tea roses are a hybrid of Rosa chinensis and European heritage roses. These roses do not grow like a tree, but are rather grafted onto the trunk of another rose (usually of a "Dr. Huey" rose). This means that you are growing two different types of roses: The trunk and roots of one rose, and the "bush" part of another rose that forms the canopy of the rose tree. Rose trees are sold as container plants. Luckily, the care of these two different roses is the same, save for some extra steps needed to overwinter the grafted part of the plant. Place your Chinese tea rose tree in a location where it will receive as much sun as possible. A minimum of six hours of sunlight per day is necessary for roses to thrive, according to the University of Illinois. Morning sun is best. Water enough so that the soil stays continually moist, but not waterlogged. The container should have a hole in the bottom. Water until the water runs freely out the hole. The general rule for watering roses is to give them 1 inch of water per week, either through rain or supplemental watering. 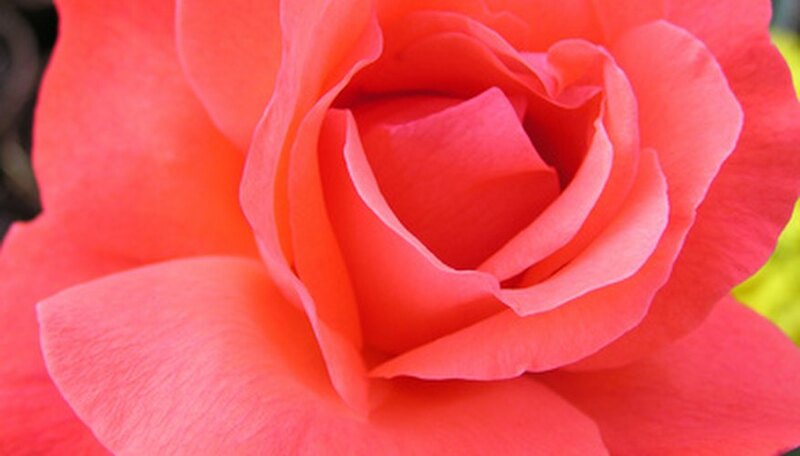 Fertilize your Chinese tea rose tree in the spring, and then again in mid-summer. Use a balanced (10-10-10) fertilizer and apply according to the directions on the label for the size and age of your rose. Prune your rose tree throughout the summer to remove spent flowers and encourage re-blooming. In the fall, prune the top so that each cane is only about 4 inches long. Protect the tree from freezing weather. The roots of the tree will freeze if exposed to prolonged temperatures below 35 degrees F. Wrap the entire tree in foam, then cover it with burlap. Or, bring the tree inside to a garage or shed. Keep the soil moist throughout the winter. Do not set the tree in a windy location, as these trees can be somewhat weak. You can insert a stake into the soil near the trunk of the tree and tie the trunk to the stake for added support, if necessary.